Fox News will be dropping its famous "Fair & Balanced" slogan due to mockery. The decision was made by co-president Jack Abernethy last August after Roger Ailes had the left the network, New York Magazine reports. Another reason for the line's departure is that it is too closely associated with Ailes, the network's former chief executive who left Fox News under a cloud of controversy. The slogan, which was designed to promote the network as an honest source of news, has been joked about by other media outlets and even within Fox. 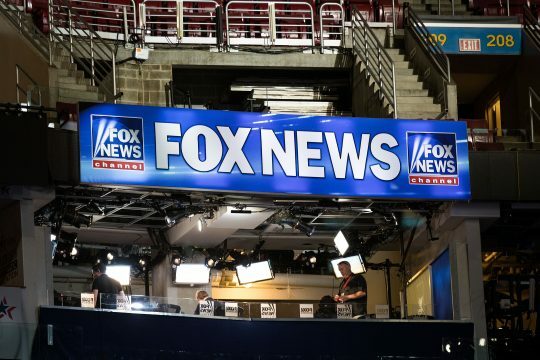 A Fox News spokesperson confirmed that the network has not used the slogan in external marketing or on-air promotions since August 2016, but said "the shift has nothing to do with programming or editorial decisions." Executives have said that the other network slogan, "Most Watched, Most Trusted," should be used instead. The old slogan has been used since Ailes founded the cable news network back in 1996. UPDATED 4:53 P.M.: This post was updated to include a statement from a Fox News spokesperson.